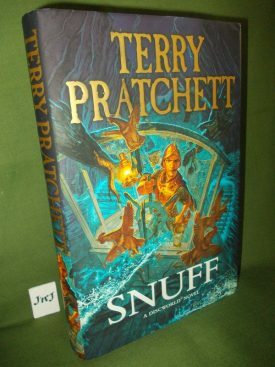 A first UK edition hardback with a full 1 to 10 number sequence indicating a first printing. Bump to head and tail of book spine and some tanning to pages. The dust jacket is complete, still shows the price and is showing some signs of shelf wear to the extremities. SYNOPSIS: “It is a truth universally acknowledged that a policeman taking a holiday would barely have had time to open his suitcase before he finds his first corpse. Commander Sam Vimes of the Ankh-Morpork City Watch is on holiday in the pleasant and innocent countryside, but not for him a mere body in the wardrobe. There are many, many bodies and an ancient crime more terrible than murder.